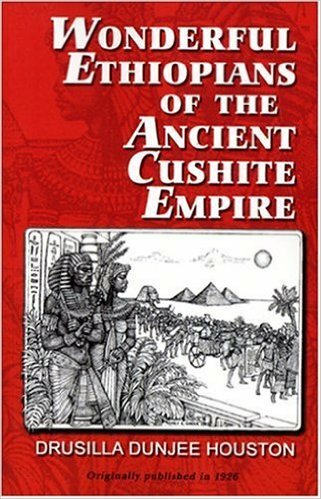 Drusilla D. Houston published a great book in 1926 and although she didn’t recognize the facts that the Israelite with their God EL were totally different from the Jews and the Hyksos with their leader YHWH she presented numerous evidences of this reality. She came very close to discover that the Israelite were Arabic Semite tribe from Yemen who took refuge in Abyssinia, and not Egypt, while the Turkic Mongolian Hyksos, the origin of Jews, plundered and colonized lower Egypt. This very important book can support the Abyssinian Hypothesis of the Hebrew Bible which is indeed a groundbreaking new revelation of the history, politics, and religions of the region and the world. On pages 99 she wrote [These primitive Semites were a north Arabian race. Southern Arabia was occupied by the older and more civilized Ethiopian race. Gibbon speaks of Sabaeans in north Arabia, if they were it was families that had passed northward after the Flood of Arem, which dispersed the families of old Yemen over northern Arabia. These people were advanced in civilization. The fact that the father-in-law of Moses could show him defects in his administration of government, proves that he was in possession of an older and more seasoned form of law. The Scriptures tell us that Moses harkened to the voice of his father-in-law and did all that he said. There is marked similarity between the Jewish law and the code of Hammurabi, which was the essence of the old laws that for thousands of years had ruled the Cushite race. The Jewish law maker was thus placed in close contact with the race which in earlier ages had possessed the revelations of God in law and equity. This is why the code of Hammurabi, though it preceded Jewish law by many ages, yet in many features was the same code. Genesis 12:16 says: “He treated Abram well for her sake, and Abram acquired sheep and cattle, male and female donkeys, male and female servants, and camels.” This is FALSE because camels were not domesticated or used neither in Egypt not in Arabia at that time. Single hump camel is an ancient indigenous animal in East Africa and it was used at the time of Abraham. The Israelite didn’t leave any graves neither in Egypt where they claim they took refuge since Joseph and for 430 years! Nor they left graves in Sinai where they claim to wander for 40 years. They claim Joseph became Vizier in Egypt but failed to name any king of Egypt! Kmt “ancient Egypt” had very sophisticated and elaborate governance and record systems but nothing was recorded about any presence and activities of large community of herding nomads. Egypt is a desert country with a narrow strip of arable land along the Nile River and Delta branches. Egypt ecology cannot sustain any nomadic herding community. The Minoan eruption of Thera occurred between 1642–1540 BC was noticed even in China but the Israelite who claim to be in Egypt at that time didn’t notice such great regional event. Ethiopian Beta Israel who were brought to today’s Israel insist that they are Israelite but NOT Jews!! Moses never called his religion Judaism and he was not a Jew, and Judaism was invented 900 years after Moses and it took 930 years to form (530 BC – 400 AD). The God is Israelite was EL since Enoch and Abraham and Isra-EL. The leader of the Turkic Mongolian Jews was YHWH (Yahweh or Jehovah) these are two different nations and two different gods. Jesus never called himself a Jew and on the cross he said “Eloi Eloi lama sabachthani?” which is translated, “My Allah, my Allah, why have you forsaken me?”. The fact that the graves of Abraham, Israel, Joseph, and Moses are unknown is a weird fact because graves of much less important figures from Egypt and other nations are known. 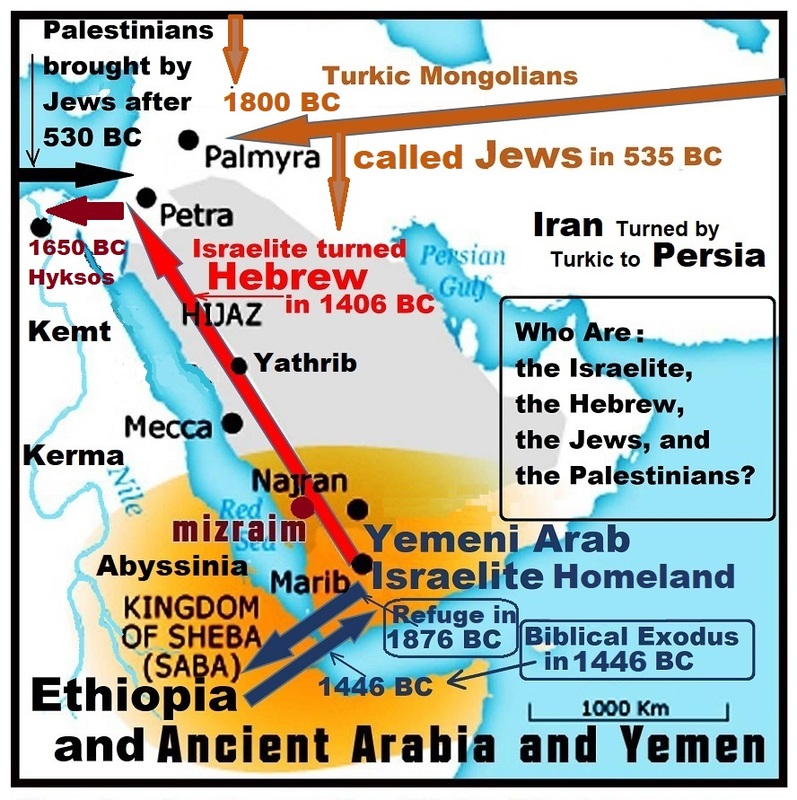 While the Jews claim that they are Israelite and stayed in Egypt for 430 years there is no borrowed words in neither the two languages while Arabic, Hebrew, and Ge’ez languages are much closer to each other and members of the same family of languages. Horses was not known in Africa including Egypt and Abyssinia, and also unknown in Arabia and Levant. The Israelite never knew horses before 530 BC while the Turkic Mongolian Jews used horses from Mongolia since 1800 BC to raid Iran, Mesopotamia, Canaan, and Egypt. The Ten Plagues of Egypt are not recorded neither in Egypt nor in the neighboring country. Why Moses, Joseph, Israel, or Abraham never mention YHWH, Yahweh, or Jehovah? Simply because it was an invention made in Persia in 530 BC 1500 years after Abraham. Drusilla Dunjee Houston (née Drusilla Dunjee; January 20, 1876 – February 8, 1941) was an American writer, historian, educator, journalist, musician, and screenwriter from West Virginia. She was the daughter of Rev. John and Lydia Ann (Taylor) Dunjee. Her father was an alumnus of Storer College, a preacher and teacher, working at what was then a normal school under the auspices of the Baptist Missionary Association. Houston became an independent historian. Beginning in 1901, she conducted research into a variety of sources and published a multi-volume history of Africans in their homeland, Wonderful Ethiopians of the Ancient Cushite Empire (1926). While the work is now outdated, it was influential as part of an early 20th-century effort by African Americans in the United States to document their African ancestors as peoples with complex, ancient history and civilizations. Please elaborate on the inaccuracies. 1521 of video also i want to clearify that Prophet Jesus pbh was not in India nor did he study buddhism but what speaker says is right, tamil is a Dravidian dialect and Dravidians were in west and east in south india they had strong trade ties with the Nabateans who are the Arameans who the Chaldeans. Quote It appears from their inscriptions as well as from their names that Arameans worshipped Mesopotamian gods such as Haddad (Adad), Sin, Ishtar (whom they called Astarte), Shamash, Tammuz, Bel and Nergal, and Caananite-Phoenician deities such as the storm-god, El, the supreme deity of Canaan, in addition to Anat (‘Atta) and others. Imliq was the progenitor of the ‘Imlags. And to them belong tale people of Barbar whose genealogy is as follows: Barbar Ibn Tamila Ibn Mazarab Ibn Fárán Ibn ‘Amr Ibn ‘Imliq Ibn Ludh Ibn Sam Ibn Nuh. As regards Sunhajah and Kutamah, they are the descendants of Fariqis Ibn Qays Ibn Sayfi Ihn Saba (Sheba). It is said that ‘Imliq was the first person to speak Arabic when his people had migrated from Babil. They along with the Jurhumites were known as al-‘Arab al-‘Aribah. Quote” Shapash is the Phoenician sun Goddess, called the “Torch of the Gods”, or “Pale Shapash”. The Minoans are considered the first European civilization. They were in one sense the first “Greek” civilization. But the people were not Greek. They came from Asia Minor (Anatolia) around 2600 BCE while still in the neolithic age. They were of medium height with black curly hair and brown eyes. The original and true civilization in that region was Kerma which the masters of Kush destroyed. The wrong perceptions and assumptions of ignoring Kerma and Punt in this book must be leading to wrong conclusions.